While a temporary position may have a short duration, taking it could prove the smart move in the long run! With a recovering economy, accepting a short-term role may be the very best option to lead you out of unemployment. From the vantage point of a prospective job seeker, the benefits of a position that doesn’t guarantee an end to your unemployment woes may seem valueless. Here are some reasons your may want to seriously consider it. You are able to show off your skills and your personality to the potential employer. View the gig as a means to extend your know how and experiment with a new field. Many job seekers will utilize temporary jobs to assist them with developing new skills or open new doors for them in an industry they may haven’t been in before. The length of temporary positions has increased quite a bit, since the recession and slow growth period that followed created many temporary roles. In the past many temporary work used to have a length of a day or weeks, now many temp projects are contract in nature. Employees may land a two, four or even a six month contract! A temporary role may be a bit unrelated to your career history, it beats being unemployed. Most job seekers don’t want their resume having long gaps in between jobs either. So sometimes having “a” job is better than having “no” job. Don’t worry if the job is not exactly what you want in terms of a position. It still retains some value in terms of the labor market. Ultimately a temporary position could very much lead to a permanent position. You can make yourself essential with your remarkable work ethic and charismatic personality. In order to reach that status, you have to treat each day as a trial basis and put your “best foot forward”. Ensure you arrive on time and perhaps even early. Pitch in and take on additional responsibility and stay late after hours to ensure the project is completed to the best of your ability. Make sure you grab the attention of the organization and even the employer. You may feel awkward undertaking a project that may be foreign to your and even outside of your career sector. However, a potential company sizing up you will be impressed by your decision to work in a field out of your expertise. So even if a temporary position may not be in line with the field your performed in the past, it’s enhances you from an employer’s point of view. Maybe you are entering the workforce or reentering the workforce from a break. Ultimately you want to get back out there and show them what you got! 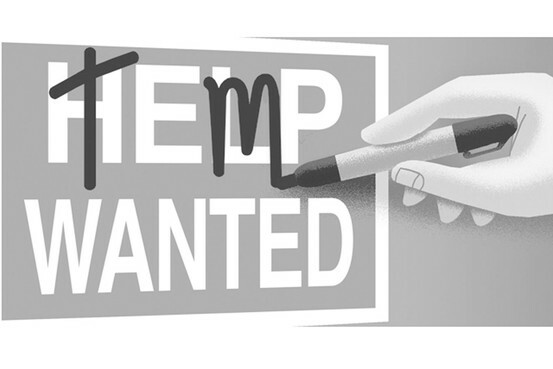 Although temping may not be for everyone, the best temps typically are flexible and enjoy working in new situations. Temporary employees are definitely protected by the same laws that protect other workers and enjoy the same rights to minimum wage, overtime and even workers compensation. Temps are not independent contractors, so if your temp agency is not withholding taxes from your paycheck either income or Social Security immediately bring it to their attention. Ensure you resolve the situation or move on to another temp agency at once! You don’t want to owe a bundle at tax time! So there you have it, temping or working short or long term assignments continues to be a great source for job seekers during their job search. It most definitely will aid you in gaining work experience and also employer references. Check out several Temp agencies and open that door to a permanent job!